The second picture has a bodice piece that I wore on the top the day of the wedding. The bridals were done with just the strapless dress. The bodice piece is not the same brand as the dress, but goes together perfectly. I will include the bodice piece if the buyer wants it. 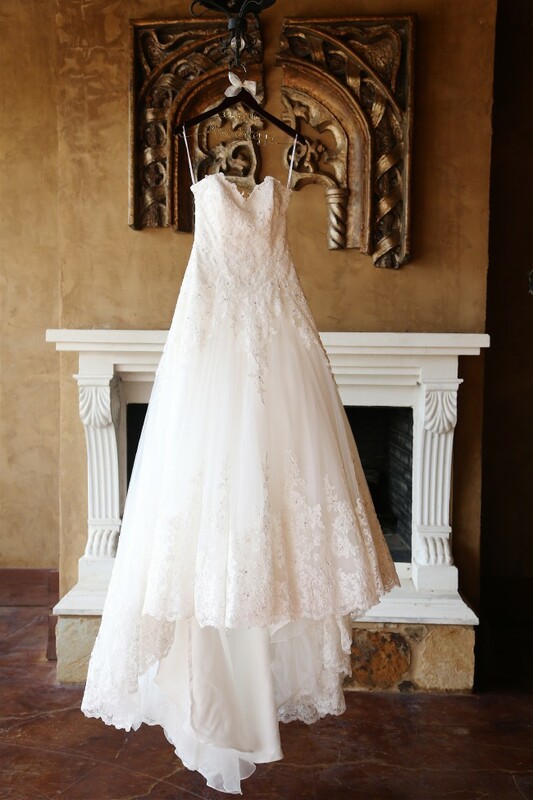 Dress only wore twice (bridals and wedding). Professionally cleaned after wedding.